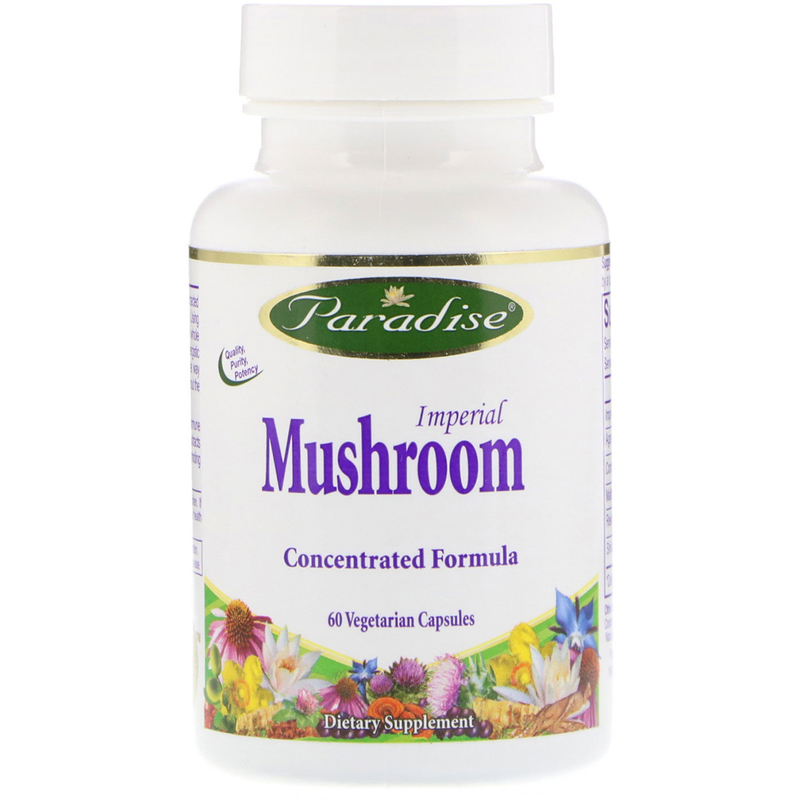 Paradise Imperial Mushroom Blend is a holistic hot water extracted concentrated formula of the highest quality nature has to offer. Using a 100% natural extraction method the true essence of the whole herb is captured, therefore retaining all of its active and synergistic constituents in a truly potent holistic full spectrum form the way nature intended. Naturally grown or ethically wild crafted without the use of chemical fertilizers, pesticides or preservatives. 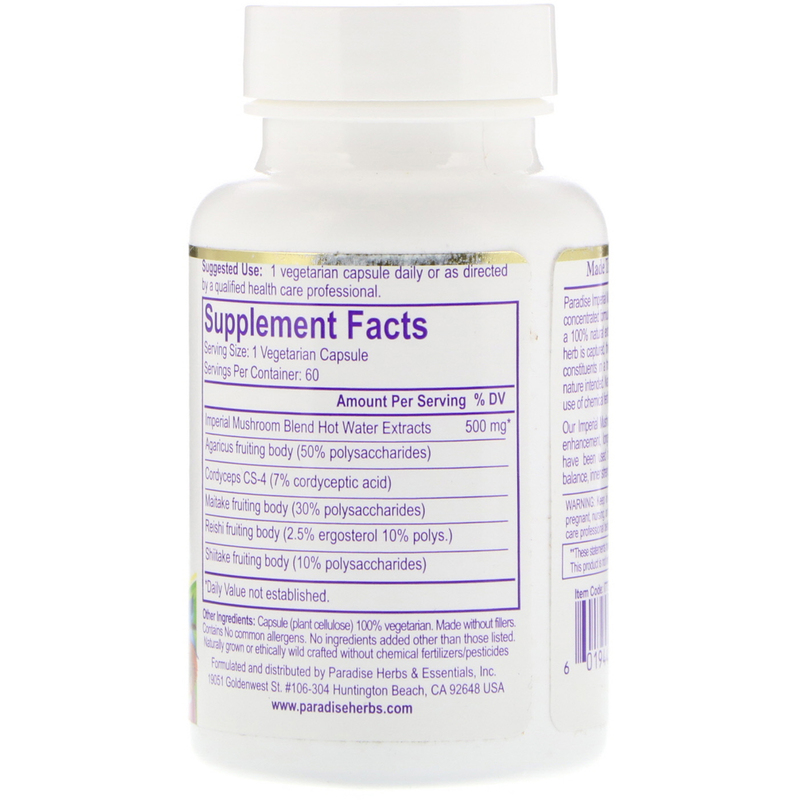 Our Imperial Mushroom Immune Formula supports total immune enhancement, longevity and overall vitality. Mushroom extracts have been used for centuries as anti-aging tonics promoting balance, inner strength and peace.